All your friends are getting internships, so now you think you need to get one too. But why should you bother? Internships are the ultimate try it before you buy it. If you’re like most students, you’re afraid of wasting 4+ years in school, only to get a job after graduation that you hate. Internships are a way to give a particular field or company a test drive before having to commit to it permanently. See if you like the culture, the hours, the compensation, what you do all day. While your duties and pay as an intern aren’t likely to perfectly line up with your job post-graduation, you will get a great sense for the environment, people, and responsibilities. Would you be excited to come to work on a Monday morning? Or more realistically…would you not want to poke your eye out with a stick every day? That’s a good start to knowing you picked the right field and company. And if not, it’s not too late to change your mind. Internships are a foot in the door. You probably don’t have recruiters and companies calling you every day to offer you jobs…not yet at least. An internship is a chance to prove yourself to the company, so that they want to extend a full time offer to you post-graduation. You get to show off all your skills and why you’d be an amazing asset to them. If you like the company that you intern with, and more importantly they like you, it could be a match made in ‘first job after college’ heaven! Internships look great on a resume. So what if you show up to your internship every day for a few months, and you hate your life? At least it’ll still look good on your resume. Employers are more likely to offer internships and jobs when they see someone already has experience. Even if you hate it, you can still learn from the experience by knowing what to avoid in the future. And make it easier on yourself to get that next internship or job. Internships help you to learn how to be an adult. Let’s be real…showing up to class isn’t really showing you how to be an adult after you graduate. But showing up to an internship will teach you responsibility, professionalism, and a whole lot of do’s and don’ts that will come with experience. Wouldn’t you rather learn and possibly make a mistake during an internship, then the first day of your real job after you graduate? Internships rake in the cash…or credit. If you’re lucky, you’ll be able to find an internship that fills your bank account pretty nicely. Worst case…you might not get paid, but should be able to get college credit to fulfill those graduation requirements. Plus, think of all the experience you’re getting along the way too. Now you’re convinced you need to get an internship, but not sure how to start? Check out our next post to learn “The One Key Thing You Should Do to Land an Internship”. Like what you read? 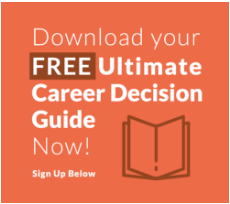 Sign up in our blog side bar to receive career tips & tricks straight in your inbox!